New Hampton University athletic director Eugene Marshall speaks at his introductory press conference at Armstrong Stadium. This year’s Sports Management conference will cover major topics in the interest of sports management majors and others who are interested in the business side of collegiate and professional sports. This is the second year the conference will be held and it will take place in the football conference room at Armstrong Stadium on April 4 and 5, 2017. The event is organized by HU’s own Dr. Aaron Livingston, senior sports management major Ashly White from Chicago and other student leaders in the sports management department. There will be a number of officials in the Hampton Roads area who will provide valuable information. Hampton Roads representative Jeff Bowers; President of Minor League Baseball Pat O’Conner; Manager of Diversity & Inclusion at Minor League Baseball Vincent Pierson; Hampton University Athletic Director Eugene Marshall and other Hampton University athletic officials will all present at the conference. These officials, as well as the organizers for the event, will cover topics on things such as internships, graduate school, resumes, different positions in the sports industry and a closer look at how people got to the position they are in now. Now, you may be wondering, why you should come to the conference and what you will look to get out of it? Well, students who attend this event can expect to gain an understanding of the business of sport, whether they are sports management majors or not. It will be a great place to network, explore internships options and job opportunities in the sports industry, both corporate and media-related. In terms of understanding the business side of the sport, it is certainly an event that should be intriguing to those who are interested. The sports management department has made headlines in recent months by representing the university well off-campus. In December, Hampton Univeristy was among three schools in the country to participate in the 2016 Baseball Winter Meetings that took place in National Harbor, Maryland, Dec. 4-8, at Gaylord National Resort & Convention Center. In an excerpt from Hampton University’s story on the event, HU assistant sports management professor Dr. Aaron Livingston spoke highly of the proceedings. “It is a very rare occasion to have 10 students from one university to intern at a professional sporting event. 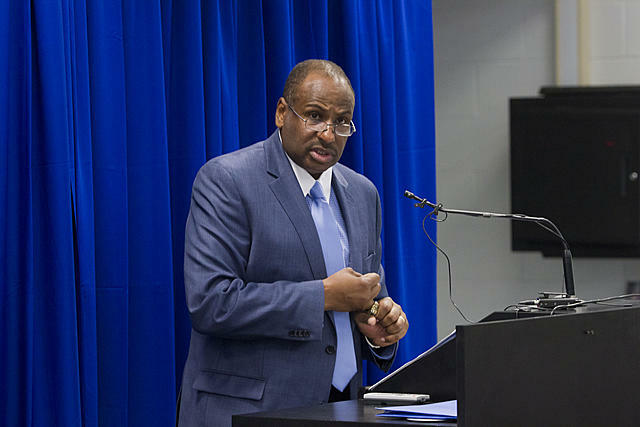 I am proud to state that professional baseball officials have praised the preparation of the Sport Management students at Hampton University,” said Dr. Livingston. The winter meetings are an annual event, held each December, in which representatives of all 30 Major League Baseball teams (MLB) and their 160 Minor League Baseball affiliates interact for four days to discuss league business and conduct off-season trades and transactions.